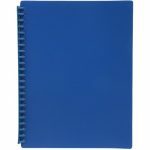 Custom Printed Refillabe A4 Display Books are used to expand the capacity of your display book while safeguarding your important documents precisely. 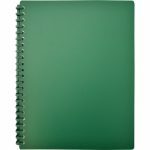 Designed specifically for A4-sized documents, the refill sheets ensure that their contents remain smudge and crinkle free. 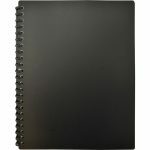 Refill sheets for A4 display books feature a sturdy polypropylene construction that offers ease of use and durability. 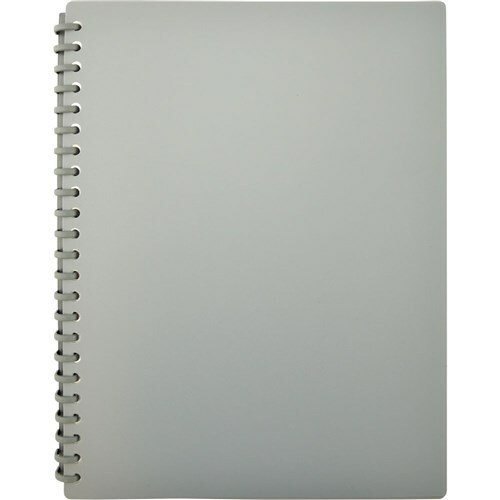 Refillable rings facilitate the rearranging of pages which is used to expand the capacity of the display book. Colours available: Red/Royal Blue/Green/Navy Blue/Black/Grey & Maroon. 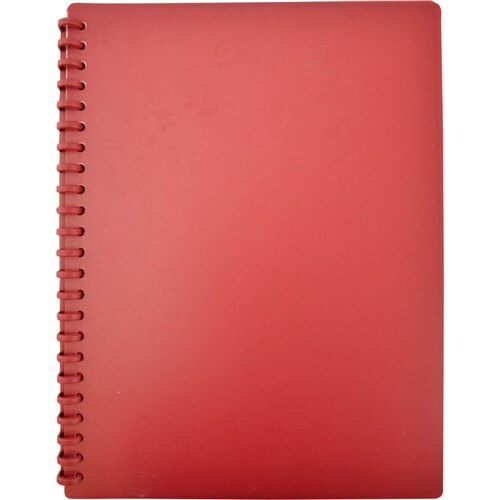 Your files and documents will be presented in style with this A4 display book. 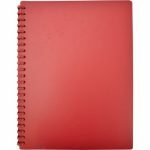 It comes with 20 pockets but is refillable, so you can re-use the book again for a new project. 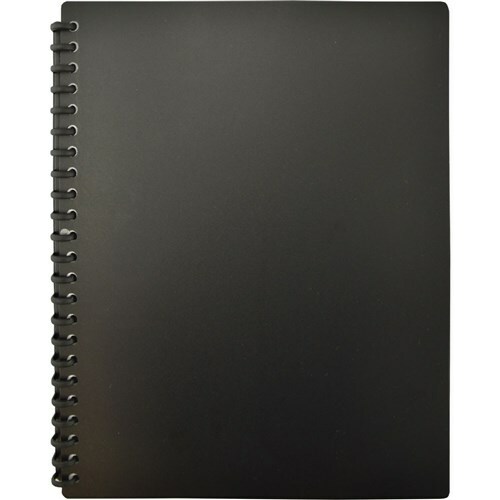 Add, swap and remove pages as required by releasing the spiral spine inside the book. 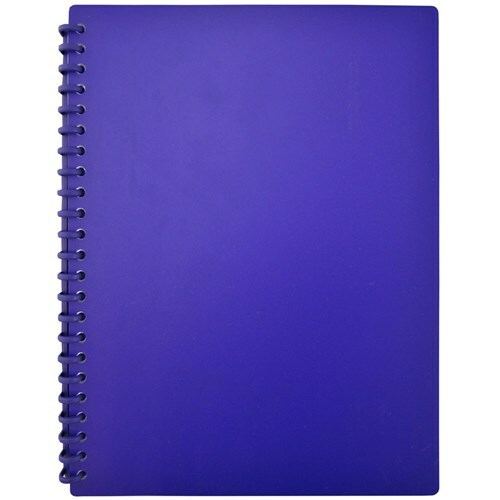 Available in a range of colours to match your corporate look. 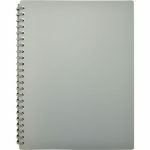 Includes 20 clear, durable pockets to protect documents, but also available in 30/40 or 50 pockets. The transparent pockets are made of sturdy polypropylene that can be cleaned easily and offer a clear visibility of the contents inside. 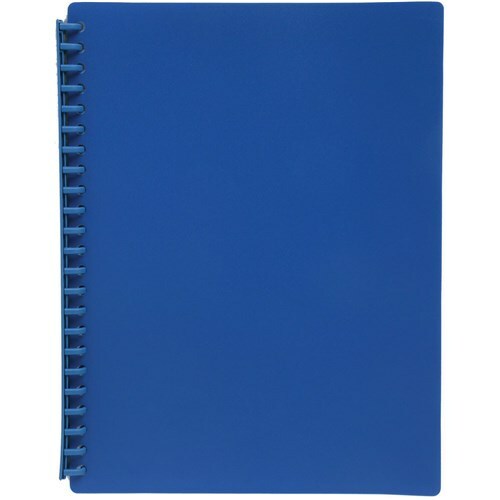 The pocket refills allow you to remove, add and move pages as required. 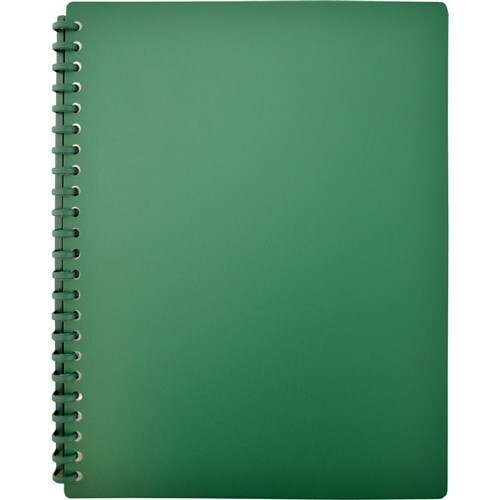 To view our complete colour range of Custom Branded Display Books. Suitable artwork must be supplied. Local freight is charged at cost. Trading Terms: All orders are on a COD basis prior to production commencement (unless a Government Department or School/University – where a 30 day credit account will be extended) We accept Mastercard/Visa/ Cheque (upon cleared funds) BPay, Direct Deposit or Pay Pal. We do not charge any Merchant Fees on MC or Visa. An invoice will be emailed to you for payment prior to commencing production. Once payment has been received and production has begun, the order is unable to be cancelled. Freight: Freight is charged at cost and we make our best efforts for your order to leave the production facility on time to meet your advised deadline. Sometimes, however – things do go wrong. Goods will sometimes be delayed held in Customs for inspection, delays by freight companies and late notice “out of stock” advice by the factories. We use our own freight companies and don’t accept the use of an outside carrier. Returns: Claims and returns need to be lodged within 14 days of receiving the goods. If there is a fault in the product supplied or a factory error in the printing, a claim will be accepted. Faulty goods must be returned to us for inspection. Once we have inspected the goods a refund or replacement of stock will be issued at our discretion. 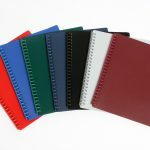 Colours: If exact colour matching is required on a product please request a sample. The colours of the merchandise pictured on this website are indicative only. 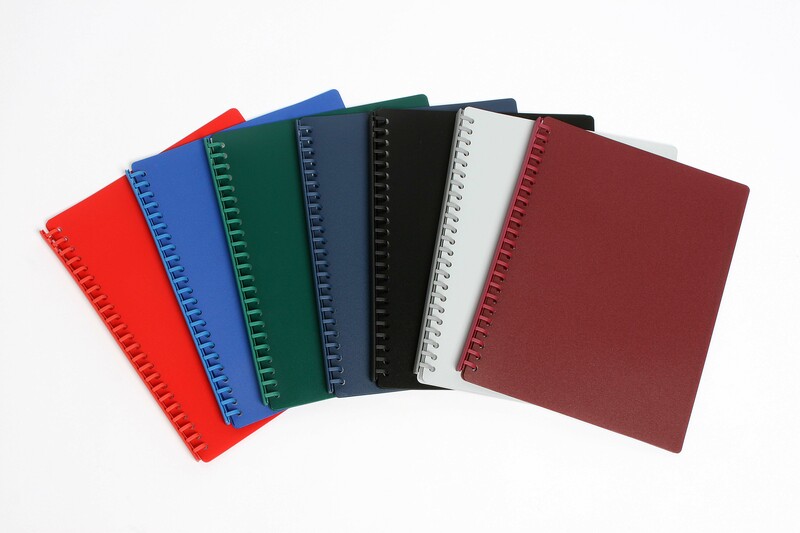 Some shades of colours can vary from various production runs during manufacture. Artwork Policy: Our preferred format for all art files are either Vector EPS or Adobe Illustrator AI files. PDF files can sometimes be used depending on the originating artwork. Any images must be at minimum 300 dpi. We will advise on receipt of files if they are acceptable for use. Text must be converted to Outlines. Placed images need to be either embedded or supplied as separate files. We can’t use CMYK files for solid spot colour printing. For solid spot colour printing please advise a PMS colour – available on our COLOUR CHART Tab. Redrawing Artwork Files: We use a graphic artist studio to redraw files that are not suitable to work with. The cost to have a file redrawn for suitable print quality is a flat rate of $35 plus GST. We Do Not Accept: Gif files, JPEG files, Page layout files such as Quark or Pagemaker, Word processing documents such as MS Word/Power Point, Photocopies or PMT’s of photocopies, business cards, letterheads, fax transmissions, etc. (These formats are too low of a quality to ensure you a quality imprint.) Please Note, artwork with tight registration, halftones, screen tints and/or bleeds must be reviewed by our Art Department for approval. Avoid very fine lines, both in type and illustrations. Fonts: All fonts need to be converted to Outlines. Below is a PMS Colour Chart (Pantone Matching System) – to help you with you choice of PRINT colour. Please note colours may vary depending on your monitors – please use this colour chart as a guide. You are more than welcome to order an UNBRANDED sample of any of our products on the web site for prior inspection of quality, colour matching purposes etc. We need to buy these samples from the factories, some of them are local and some are offshore – so there is a cost. The sample requested is charged at the cheapest rate (end column) on our main price page along with freight and a handling fee. Samples are non returnable. If exact colour matching is crucial to you, we suggest you order the sample prior to production.